For more than a decade, twins Sean and Dillon Kirrel have felt pulled toward another world--a place they have sketched out in detail and posted on the walls of their bedroom. They are certain it is out there. Soon after their seventeenth birthday, they are approached by a clandestine scout. To him, Earth is just a distant and unmonitored outpost of human civilization. But he explains that Sean and Dillon share a unique gift--the ability to transfer instantly from place to place. Transitors who are also twins are especially rare, and so they are offered an opportunity to prove themselves as recruits to the human assembly. If they don't succeed within thirty days, their minds will be wiped. Either they make the grade as inter-planetary travelers--or this never happened. From the infinite imagination of Thomas Locke comes this otherworldly new series that will challenge young readers' understanding of time, space, and human limitations. I love that Davis Bunn is exploring the Thomas Locke facet of his imagination. We are being exposed to his fascinating expertise as a writer outside of the Christian fiction genre; a genre in which he is highly accomplished. 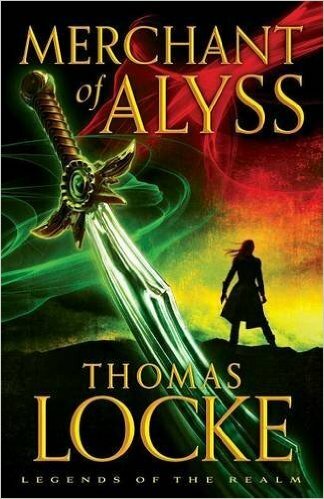 I was first introduced to his work under the pen name Thomas Locke with his epic fiction series Legends of the Realm. 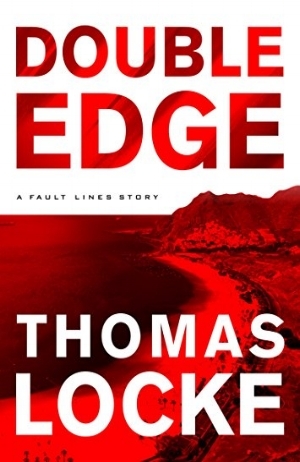 Then his technothriller series Fault Lines. Now Bunn is conquering science fiction with Recruits. I’m ecstatic! Geez… gush much?! Recruits is a book that I didn’t want to put down, yet simultaneously didn’t want to reach the end of. I found myself forcefully putting the book aside so that I wouldn’t end it too soon; you know… in order to spread out the enjoyment. It ended too soon! In Recruits, the characters have rich, dynamic, and sometimes complicated relationships. The characters are real… engaging. Locke drew me wholeheartedly into their lives. These relationships, the challenges, and the choices being thrust before the twins, Sean and Dillon, are excellent lessons in living real life. This book is geared towards teens and young adults. I wholeheartedly recommend that you buy a copy for your favorite teen or young adult and feel good about it. Recruits is filled with adventure throughout truly creative worlds. The concept encompassing the both literal and figurative world-building is ingenious. Parallel universes have long been a component of science fiction as have portals between them, yet I found the application of these two concepts in Recruits to feel fresh, not trite. 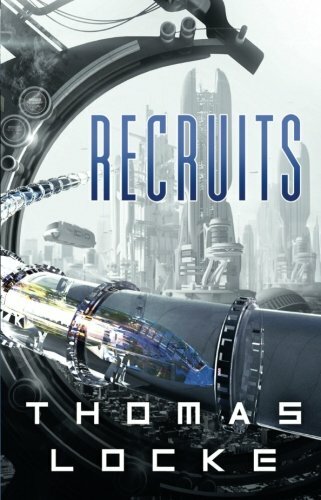 Recruits is excellent science fiction that I have no qualms about giving a 5-star rating to. 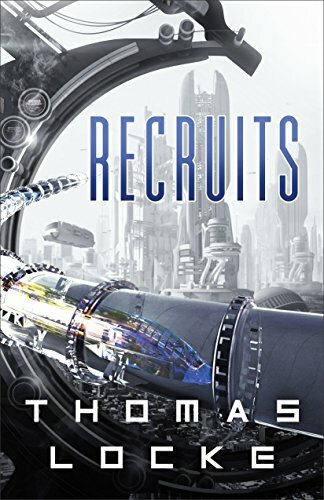 If you either love science fiction or are wanting to metaphorically tip your toes into the genre, Recruits is a book that I recommend that you read. 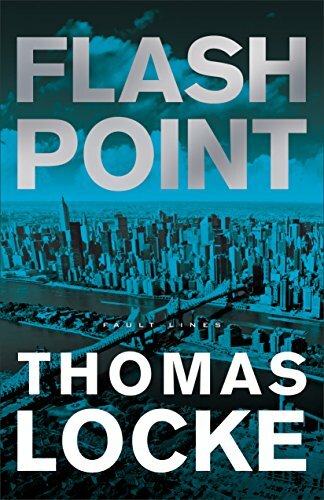 I have compiled a list of all of the books that Thomas Locke (Davis Bunn) has written HERE. The book series are listed in reading order.